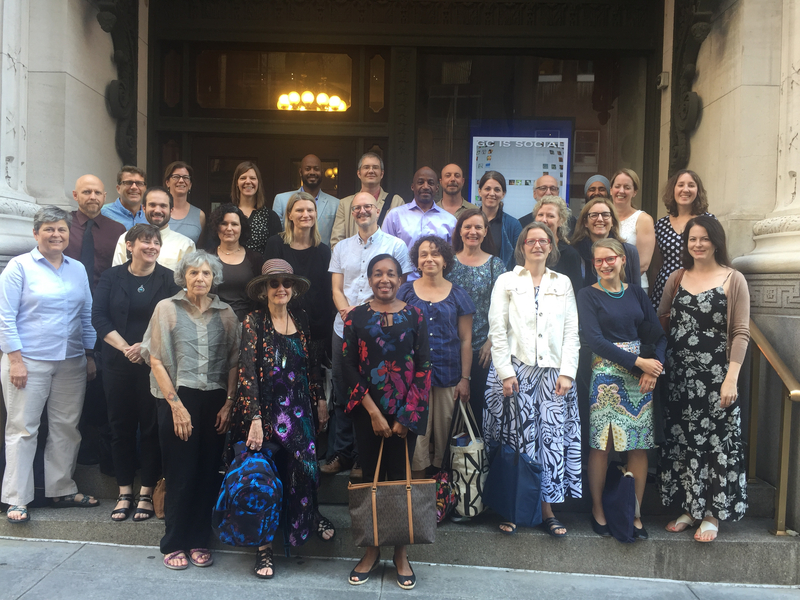 During two weeks this past July, the American Social History Project/Center for Media and Learning held our fourth National Endowment for the Humanities Summer Institute. “The Visual Culture of the American Civil War and its Aftermath” institute was hosted by the CUNY Graduate Center and three New York City cultural institutions (New York Public Library, New-York Historical Society, and the Metropolitan Museum of Art). Attended by twenty-five NEH Summer Scholars selected from colleges, universities, and museums across the country, the institute featured presentations, discussions, visits to local archives and museums, and hands-on workshops that focused on the era’s visual media to assess how information and opinion about the war were recorded and disseminated, and to consider ways visual media expressed and shaped Americans’ understanding on both sides of the conflict. For this fourth institute, we explored the struggle for equality beyond the years of the war, including the visualization of the extended war in the West, Reconstruction, and Jim Crow. The institute featured talks by fifteen noted historians, art historians, and archivists representing the range of current work in the field. In addition, a team of three institute faculty (Joshua Brown, Sarah Burns, and Gregory Downs) guided the participating scholars in ways to use visual evidence to enhance their research, writing, and teaching about the war and its short- and long-term effects. Topics discussed during the institute included Civil War photography, visualizing slavery and anti-slavery, the illustrated press, maps, textiles, Emancipation, the war in the West, and commemorative sculpture and public monuments. Visit https://ashp.cuny.edu/2018-schedule-and-syllabus for the full schedule of activities and speakers.